The life of a Termite Control Chandler blogger is never boring. Today’s news feed turned up an interesting bit of research on the Nasu­titermes Corniger that could not be ignored. The researcher had been curious about the polygamous termite communities and tried to find out if termite mounds can have multiple king and queen pairs. 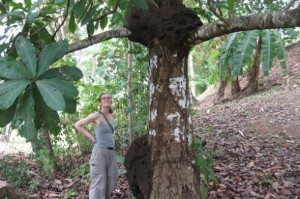 The discovery of polygamous termite colonies spurred a research grant. The results were unexpected. The original idea was that if multiple mating pairs found a large enough quarry, they mite all start mating and create a super colony. In fact, when multiple mating pairs were given the chance, however, the eggs were not tended properly and there were fewer hatchlings. The research shows that if given the chance to build a colony together, the pairs become too competitive on the egg laying aspect and the natural instinct to tend the first clutch is lost. The research concludes that unlike ants and bees that may benefit from multiple pairings, the research shows that termites do not. Polygamous termite colonies were separate colonies, each successful, that joined after the workers were established to care for the eggs. 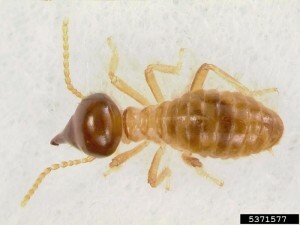 The recent discovery of the termite super colony in Canada makes this discovery even more useful in North America. The more entomologists who get involved with studying these interesting creatures, the better we can understand how to treat them. Termite Control Phoenix is dedicated to staying on top of research and discoveries to better serve our clients. Termite colonies in Arizona are far under ground and not open for the closer examination allowed by Nasu­titermes corniger, the tree termites. What we learn from one branch of the species helps us to determine the habits of those we cannot see. Termite Control Chandler offers a free termite inspection to get you started. We have been providing excellent service to local homes and businesses for over twenty years. The trained professionals will treat your property as if it is our own, with the care you would give it. When our termite expert is finished, you will receive a report explaining the necessary steps to keep your property safe and free from termites and other Arizona pests.